In the social sciences work trajectories tend to be studied as careers which link individual participation histories in labor markets, occupations, and firms. Career models conceptualize the process of passing through socially defined pathways, but they neglect the mechanisms that connect these histories to biographical time and processes of social change (see Elder, Johnson, & Crosnoe, this volume). 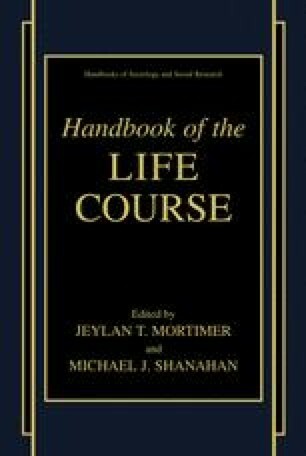 In this chapter, the work life course is regarded as a career, which is embedded in labor markets and organizations, and evolves through the interaction between social institutions and biographical actors. I argue that in post-industrial society there is an increasing emphasis upon personal decisions and responsibility in the shaping of the work life course, and a corresponding decline of normative age-markers for the timing and sequencing of labor market participation.